Stealth.com Inc. (Stealth Computer) a leader in the industrial computer and peripherals market has released a new 21.5" Marine/All-Weather LCD monitor, featuring a high definition widescreen 16:9 format with 1080p resolution (1920 x 1080). The Stealth model SVM-2150W is environmentally sealed to NEMA 4/IP65 specifications providing maximum protection from dirty, wet and hostile operating environments. According to Stealth CEO, Ed Boutilier; "Our SVM-2150W all weather LCD monitor is ideal for use in direct sunlight or high ambient light conditions. Typical applications would be for marine, industrial, security, kiosks, vehicles or outdoor displays." The new 21.5" model adds to Stealth's line of marine / all weather monitors that operate from 9 to 36VDC which makes them ideal for marine, outdoor and transportation applications. Stealth's sunlight readable LCD monitors feature a wide range of video inputs that include 2X-VGA, 2X-DVI as well as 3X-composite (NTSC) RCA input connectors. In addition to having a NEMA 4, IP65 Sealed Front Panel the monitors also operate in extreme temperature ranges, -10 to +50C (14 to 122 F). The monitors are designed for Panel Mount (Flush Mount) installation and also have VESA 100mm or 75mm mounting holes. 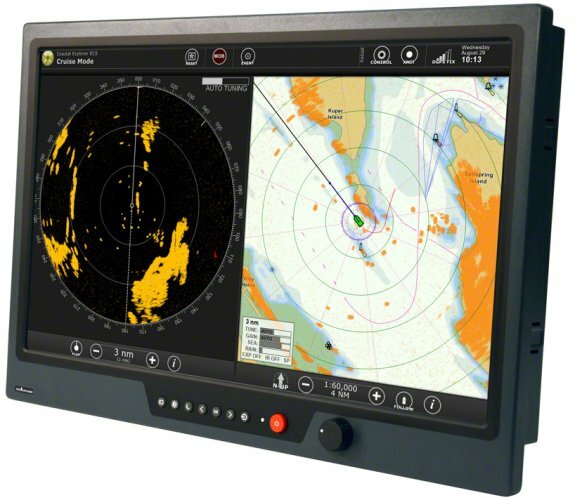 The SVM-2150W 21.5" marine / all weather LCD monitor was designed utilizing the latest in LED backlight technology for optimal energy efficiency while still delivering up to 1,000 Nits (Cd/m2) of pure brightness. The wide-view LCD operates in a 16:9 aspect ratio while delivering full 1080p HD resolution (1920 x 1080). Front mounted controls include, menu, brightness, contrast, night mode, input select, up/down and picture-in-picture. Resistive Touch Screen comes standard with USB connectivity. PIP capability provides the options for Child, Split or Wide Screen functionality. Stealth's new SVM-2150W 21.5" marine / all weather monitor is currently shipping with base pricing starting at $3,195.00 USD. Stealth also offers many other weatherproof input devices such as industrial keyboards, mice and trackballs that compliment the Marine / All Weather Computing products.